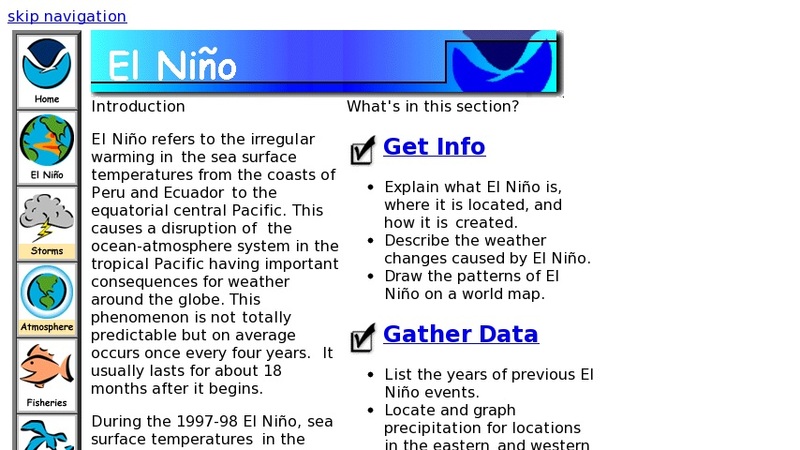 Teaching activity about El Nino, how it forms, and its effects on the weather of the world. Includes background information, data, applications, and additional activities. Links to related sites, as well as a wealth of similar NOAA lessons covering a variety of marine and environmental science topics.